Doesn’t everyone want testing to be faster and safer? One way to accomplish this goal is by implementing digital I/O. This gives you the ability to run the tester using controls such as switches, buttons, and other devices. Adding automated devices to your test system can not only speed up the testing process but will make testing safer. Digital I/O is used for a variety of reasons. 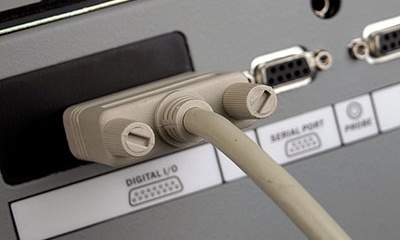 It can protect users testing cables as well as safeguard companies looking to eliminate errors. This is done by connecting devices to your tester. For example, start a test by stepping on a footswitch. Run a high voltage test when palm switches are activated. The results are displayed through status lights as well as through audio. All this is possible through Digital I/O. Each Cirris tester uses Digital I/O in a slightly different way, though each is capable of some form of digital I/O. If you are interested in automating your test process through digital I/O, check out our series of articles in the Cirris Learning Center.